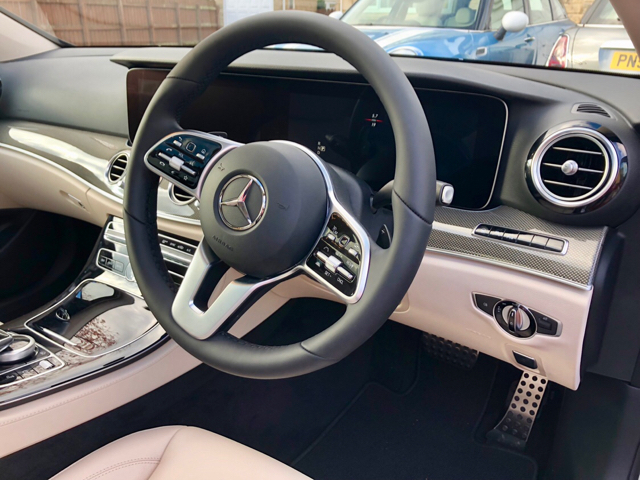 Discussion in 'General Mercedes-Benz Related Discussion' started by CommonSense, Apr 8, 2019. Just tried searching "walnut" in the search box and, surprisingly, the only result was to find a member called walnuthorse42. I was wondering ... and I fear this might not be the place, by the sounds of it, to find the answer ... if anyone had any ideas on how to order, new, what I'd call a proper Mercedes E class 'of old' in terms of light colour interior trim, burr walnut trim, and the metal 'gunsight' star on the bonnet? Possibly looking to replace our 2002 E class, and Mercedes seem to have really really changed since then, for the worse in my view in terms of finish/colour options not to mention engine options (basically diesel diesel diesel despite government plans to have it withdrawn in some years time, or seemingly under-powered or offensively over-powered petrol). That is, unless you look for example at what's available overseas such as Cyprus and lo and behold, smart looking Mercedes ARE made .... just seemingly not promoted in the UK? trim options, burr walnut, bonnet star, irregular specification only to be told "The following error occurred: You may not create new tags" yet of course there's no drop down menu or anything to show existing, available, ones? Mercedes have very limited trim levels in the U.K. as their marketing people have obviously decided that the customers they’re wanting donations want the bonnet star or wood interiors. I had open pore black ash interior in my 2016 E213, that isn’t an option any longer. The car configurator shows a nice light wood interior but it’s not an option in the U.K. neither is the bonnet star. Tags you can add or not to make the thread more searchable. As most just search in new posts they’re not required. Sadly, probably need to go to US to get a much broader range of options. 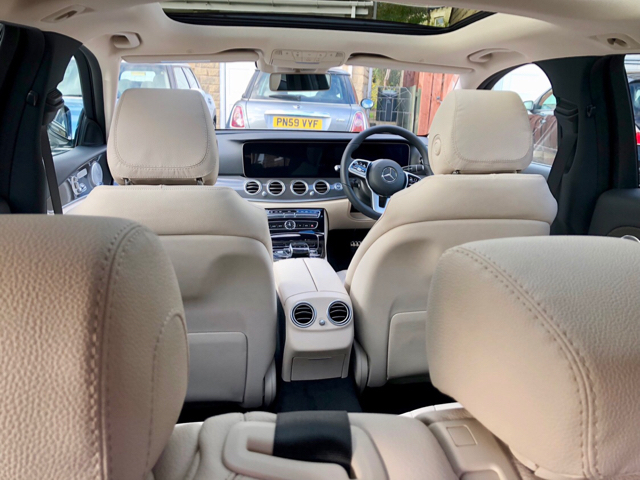 I bought a brand new ‘ordered’ Estate in UK just before Xmas and managed a light interior with a few ‘special’ trim features. Best I could get - and I really like it. grayb, 00slk, peterws1957 and 3 others like this. That light and dark contrast is rally nice! I read “offensively overpowered” and stopped there. There is no such concept!!!! I have wondered why the UK gets what appears to be a limited choice compared to other countries. MB must think we're a conservative lot. True because it’s millennials at MBUK who are making those decisions, forgetting that it’s the older generations who actually have the money to buy these cars. Yugguy and peterws1957 like this. Unfortunately they’re not interested in anyone buying their cars either, mad as it sounds. They want the regular drip drip drip of the PCP that keeps the money rolling in and the factory producing cars. daibevan, peterws1957 and Srdl like this. Having said that I see many yoofs driving A class stuff round here. PCP/Equity Release rules! I meant the “proper” Mercedes! I can't abide completely black interiors. If there were no choice, I would go and buy something else - like a BMW... (please excuse the swear word). I think a light coloured option is essential for choice. I love mine. They make the GLC worse by fitting privacy glass as standard, not something I would have specified if I had the choice. That said, I thought I would miss the light grey interior of my previous car but I don't. grayb and Blobcat like this. Me too. Goes lovely with the Tanzanite blue.